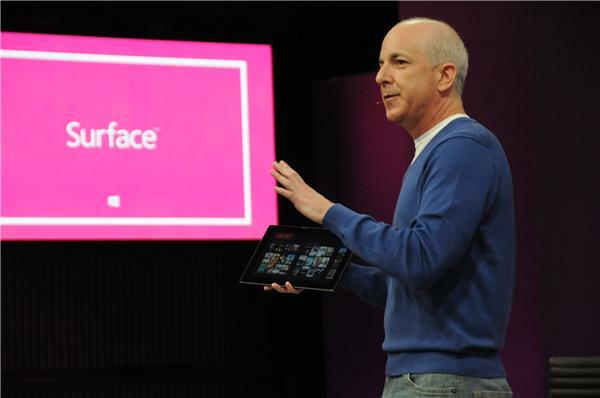 Microsoft just announced its own tablet, named Surface, which blurs the line between tablets and ultrabooks. The 10.6″ slate features simplistic design and compact measures, while offering a full-blown Windows 8 experience. Microsoft’s latest creation will be offered in two flavors. The entry level one will run Windows RT for ARM based chips, while the fully tricked out version will be running Windows 8 Pro. The screen size on both versions will be 10.6″, but the Windows 8 Pro units will offer full HD resolution. The Windows RT version is 9.3mm thin and weighs 676 grams. It will come with 32 or 64GB of built-in memory and the connectivity suite will include microSD, USB 2.0, MicroUSB HD Video Out, 2×2 MIMO antennae. Expect the tablet to become commercially available around the time when Windows 8 gets launched, with a price in line with its rival offerings, according to Microsoft. 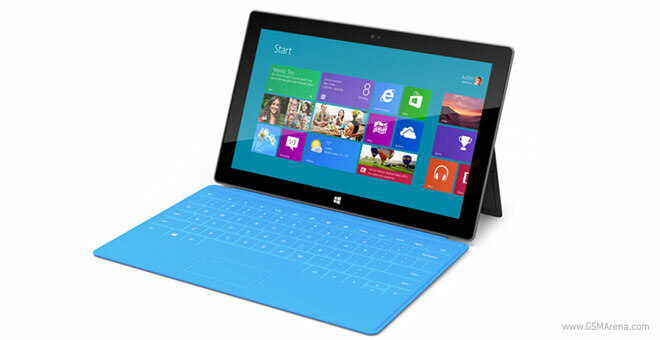 The Windows 8 Pro version of the tablet will come much closer to being a full-blown PC. It will be thicker and heavier than its Windows RT running sibling at 13.5mm and 903 grams respectively. The Pro Surface will come with more built-in memory as well. You will be able to grab a 64 or 128GB version of it. The connectivity suite of the Surface pro will include microSDXC, USB 3.0, Mini DisplayPort Video, and 2×2 MIMO antennae. The Surface Pro will be available about three months after the entry-level version of the slate. It is said to be priced in line with similarly equipped ultrabooks. Both the Windows RT running Surface and the Surface Pro will feature a built-in kickstand, which will pop out of their vapor-deposited (PVD) magnesium cases. The coolest feature for the slates however, is the Touch Cover. As its name suggests, the accessory looks like a typical tablet cover on the outside. Once you flip it open however, it reveals a full blown touch sensitive QWERTY keyboard, to go with a touchpad. Furthermore, the Surface Pro will feature Pen input with Palm Block. Check out the promo video, which is quite impressive.